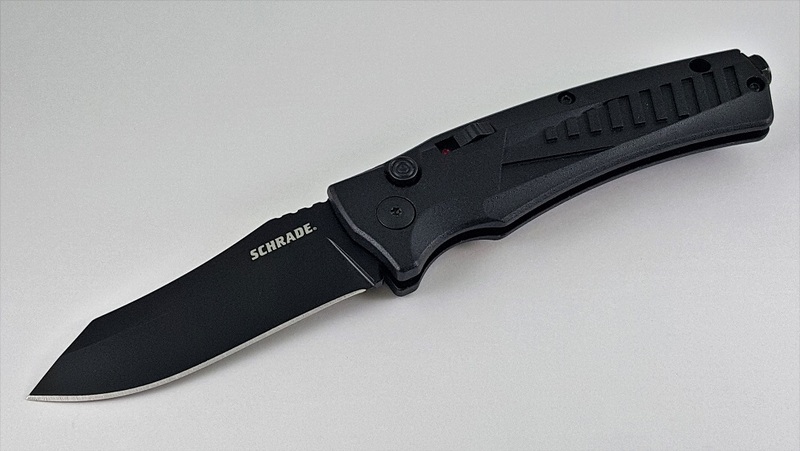 The SCHRADE SC90B Tactical Automatic Knife Has Been Converted From The Manufacturer's Orignal Button Lock Version. Slide Open The Safety...Hit The Button...BANG! 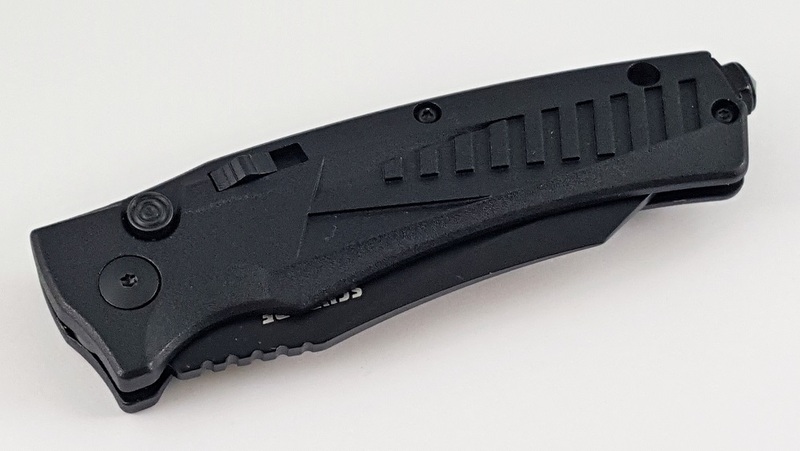 Features Black Anodized Aluminum Handle. 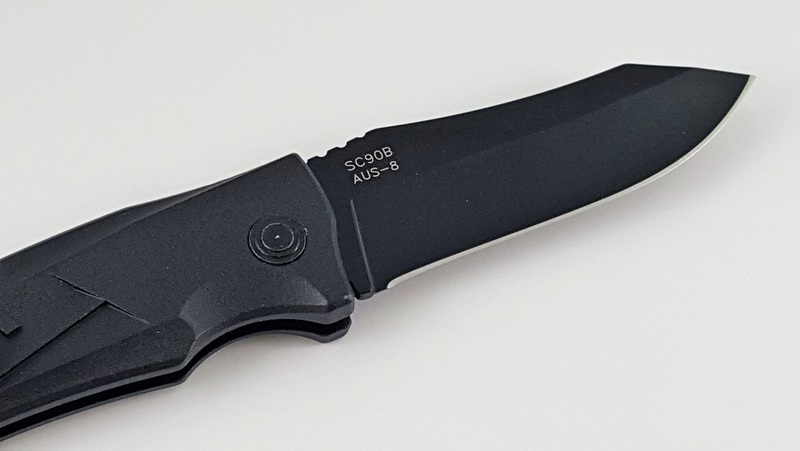 AUS-8 High Carbon Steel Black Finished Stainless Steel Plain Edge Blade. 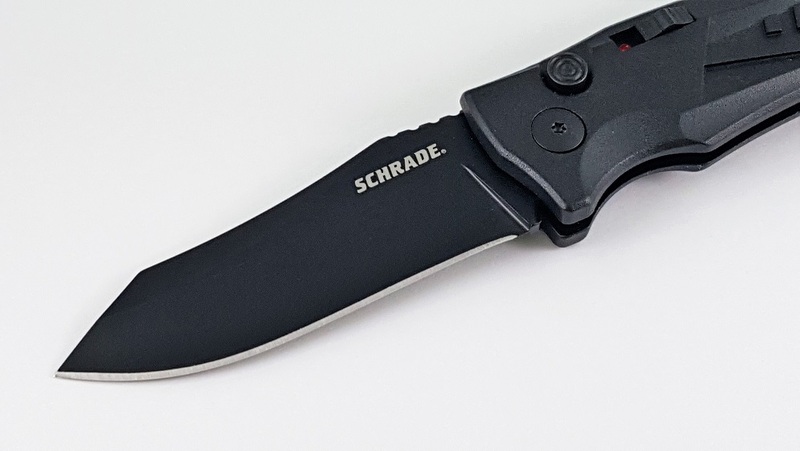 Includes Red Dot Safety. 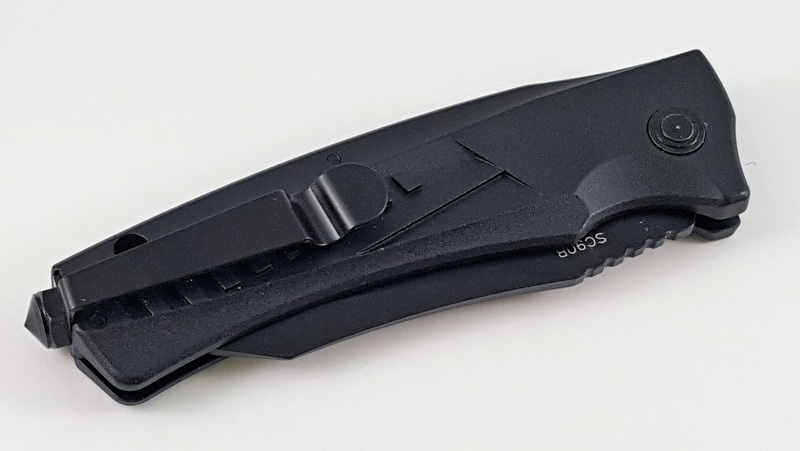 Black Spring Steel Pocket Clip. Weight: 3.5 oz. 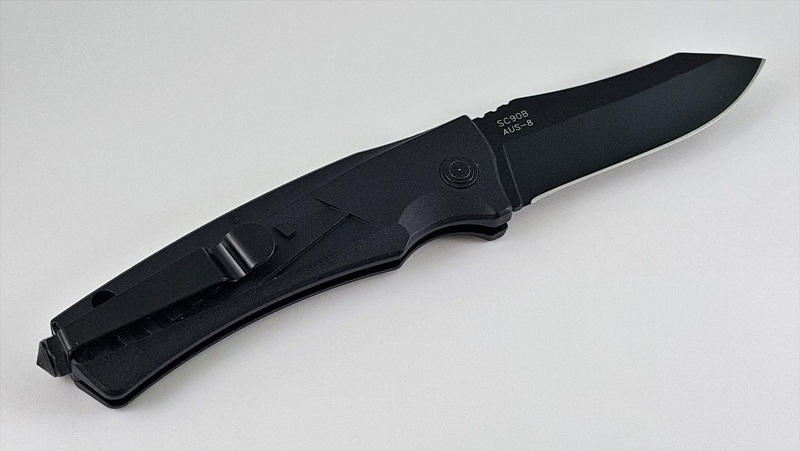 Overall Length: 7.82" Blade Length: 3.16"